Education: B. 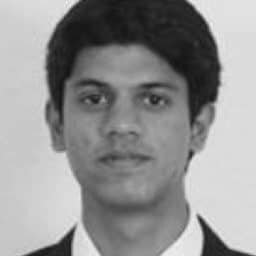 Tech in Engineering Physics from IIT Delhi | Undergraduate thesis on “Fabrication and Characterization of Ferromagnetic Semiconductors” | Six Months Internship at University of Western Australia, Developed a Mathematical model used in “narrow direct bandgap HgCdTe” Semiconductor Professional Experience: Possessing more than 9 years of experience in IP. Extensive work experience in Product Demo and source code analysis, preparation of infringement contentions, claim construction | Expert witness support | Patent/portfolio evaluation, technology due-diligence and pre-litigation services. Worked as an end-to-end IP & technology consultant for patent litigations to a number of US-based law firms. Technologies: Web technology: Client-server architecture, Smartphone devices, User-interface, Location-based services, Streaming services, Cloud-based computing | Enterprise Resource Software | Computer networks, Telecommunications, Wireless Devices and Protocols, Network security | Optical devices, augmented reality, camera and display systems, computer graphics.